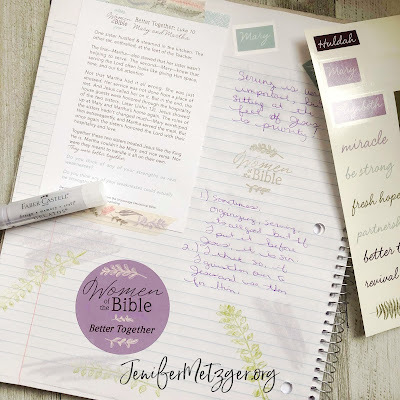 It's time for the new Bible journaling kit from Dayspring and I am beyond thrilled about this kit! 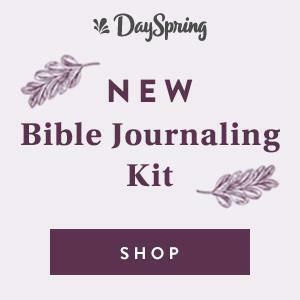 This new kit is exclusive to Dayspring and is the first in a three kit series on Women in the Bible. The stamps in this kit are so fun! I love the women. You can use black ink, let them dry completely, then color it in with colored pencils. Or used colored ink! 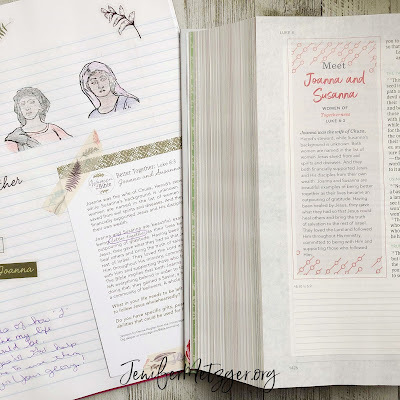 That's the fun thing about Bible journaling, there is no wrong way! The page makers are fun for marking the verses in the Bible you'll study about the women, or add to you day planner to mark important dates. I had never used Gelatos before and wasn't sure how to use them. So, I just google it and found tons of great info! Basically, use it to color like a crayon. 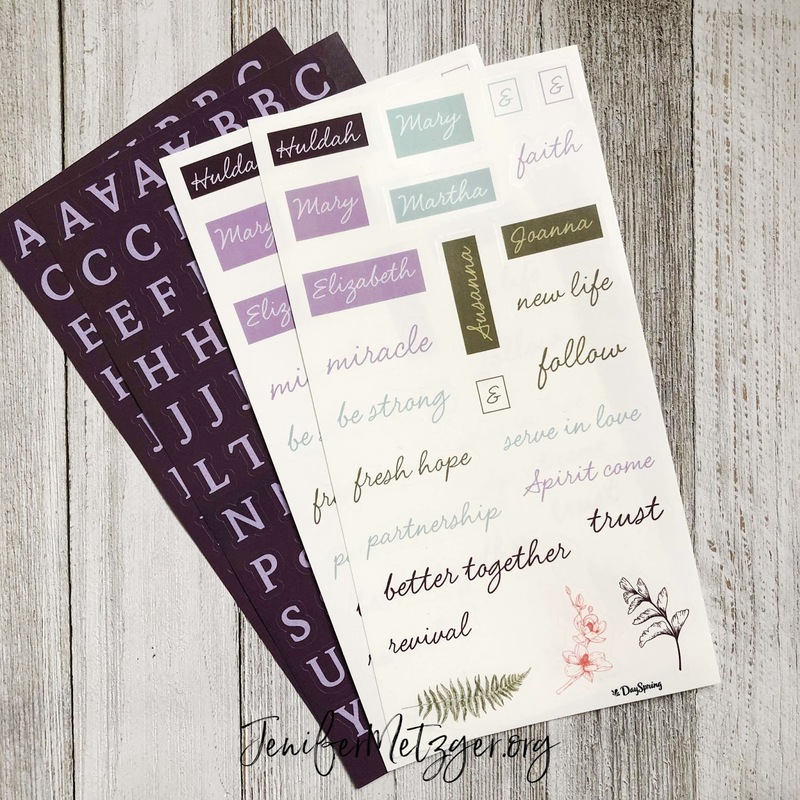 Once it's had a minute to dry, you can write over it or place a stamp over it. For a smooth Gelato look, you can use a slightly damp cloth to wipe over it after coloring, then write or stamp over it. 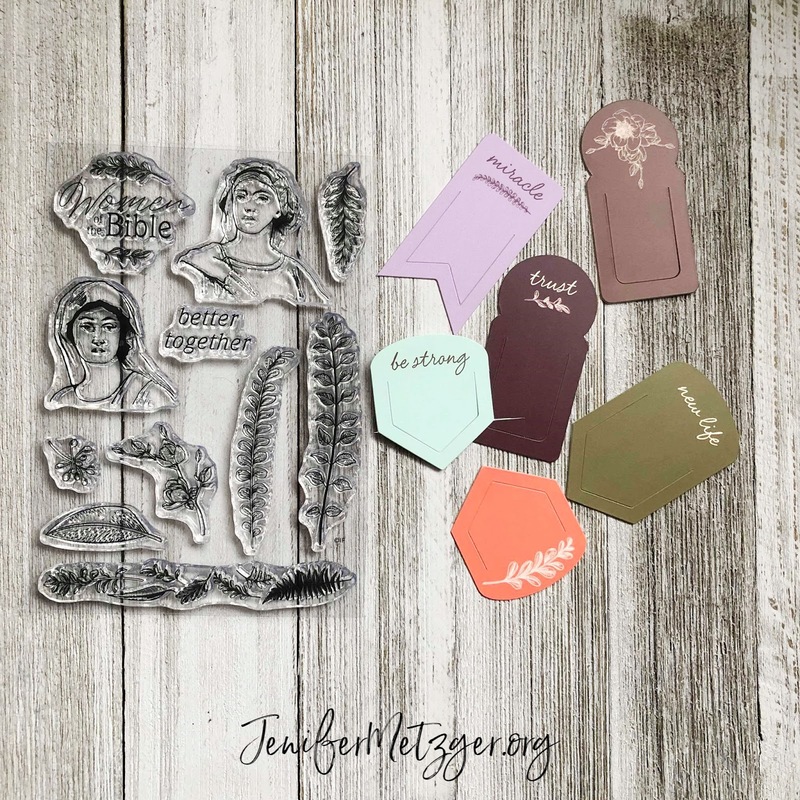 Stickers are a joy to use! 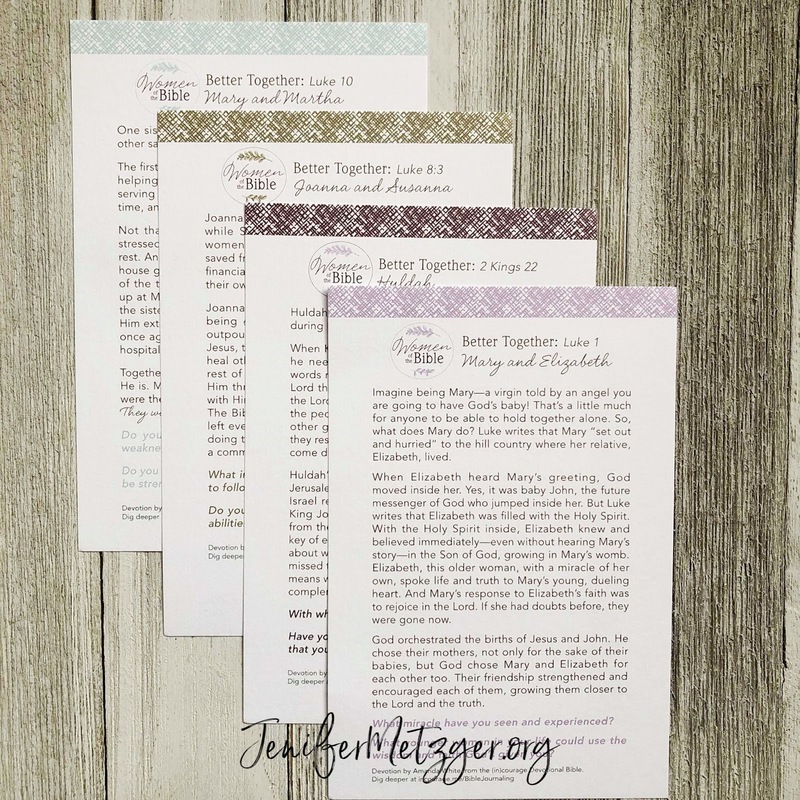 Add them to your Bible, journal, or devotional cards. 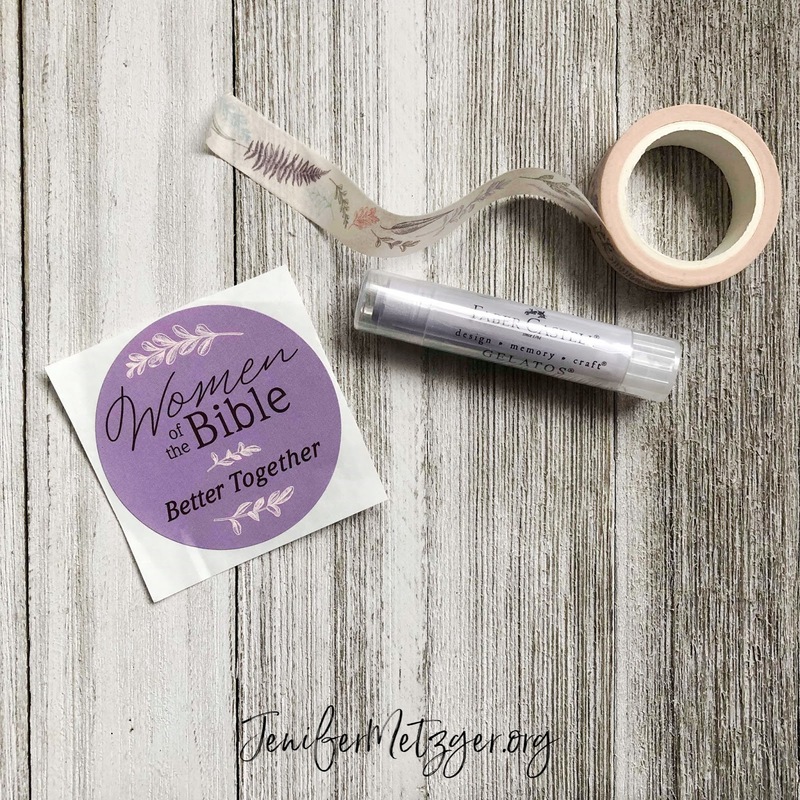 This kit gives alpha stickers and word stickers that say things like trust, fresh hope, be strong, and new life. 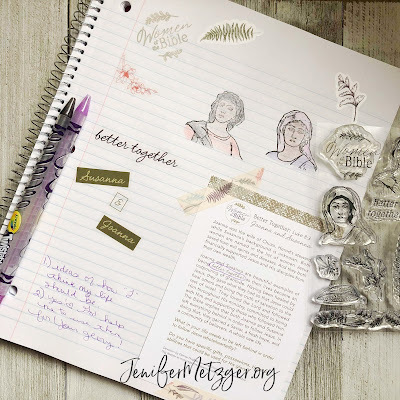 You'll love the soft color they add to your journal entries. If you want to learn about more women in the Bible, Dayspring and (in)Courage have a beautiful Bible, the (in)Courage Devotional Bible, that you will love! 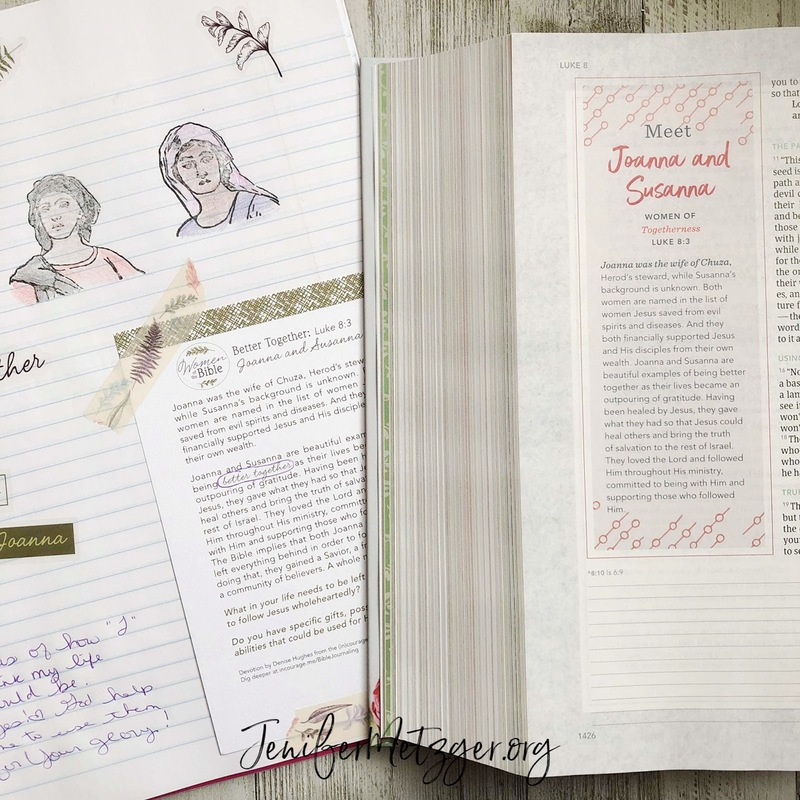 This Bible has sections that introduce you to women in the Bible. 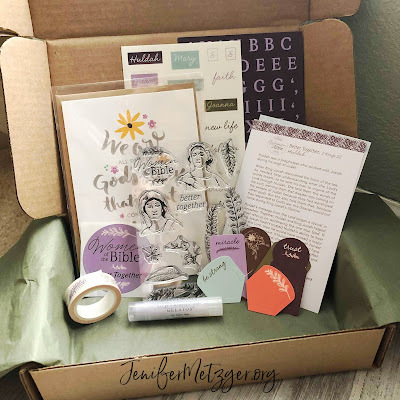 While the Women in the Bible kit will share six women with you, the (in)Courage Devotional Bible shares fifty women! 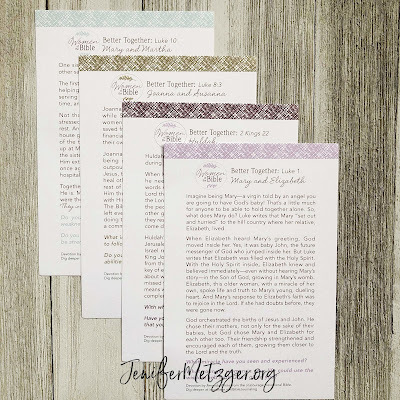 The Bible comes in four cover options to choose from. 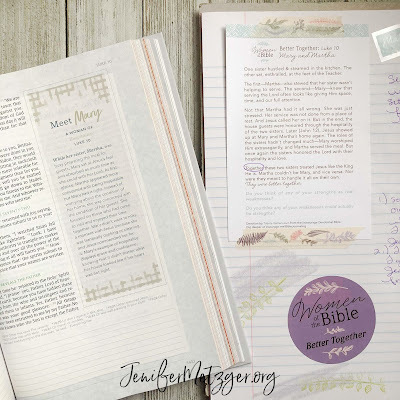 I love this Bible! I am so excited for the Women of the Bible kit series! Pick up your kit below and start journaling your way through as you study women of the Bible. 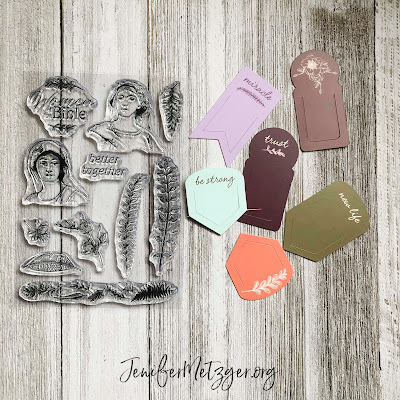 This is a really neat idea and set! Definitely going on my wishlist! Thanks for sharing!